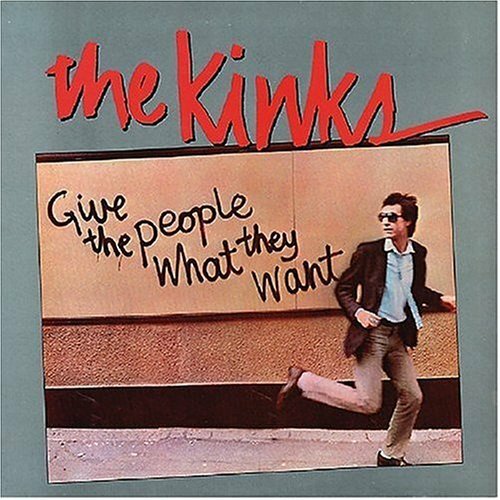 As my favorite Kinks studio album from their hard-rocking renaissance, I was fully aware that Give The People What They Want was as cynical as its title, but I didn’t care. Part of it might have been because I saw them twice during this album cycle, the first at the Fabulous Forum in L.A. with Tim & Larry, right around the time it came out and the second time at the US Festival a year later. Anyways while Give The People What They Want did have the execrable “Destroyer” right there in the middle, for whatever reason, the songs I liked on it — “Better Things,” “Back to Front” and “Predictable” — I liked way more than anything from Low Budget. Well, you were my favorite D.J. F.M., A.M. where are you? Note to my younger readers (if there are any): back in the days of this song, rather than digital tuners which let you view directly which radio station you were on — or apps that let you select a radio station’s stream from a list — those of us who worshiped the radio used to have to use a knob, or “dial” to tune the radio. Eventually, in an example of nouning a verb, “dial” became slang for the range of AM or FM frequencies displayed on the radio (and in the case of transistor radios, the frequencies were on a dial! ), so that many great songs about the radio referenced “the dial.” It was a great skill to be able to land upon the exact perfectly sounding place upon that dial, and I prided myself on having that skill. Of course, it was all a rock ‘n’ roll fantasy: by the early 1980s, corporatization and consolidation was already taking over radio, and most DJs had very little choice in what they were playing. But I didn’t wanna know. And all I knew at that point was that if I ever became a D.J., “Around The Dial” was about the kind of fandom I wanted to inspire: being known for playing the best records, and missed when I’d gotten disappeared. Of course, it also helped that “Around The Dial” was upbeat, clever and and hooky, the best being when it went into a Beach Boys-inspired bridge with tuning static in the background. The rest of it was all “di-i-i-i-i-i-i-i-al,” and Dave Davies snaking leads in the background and as much fun as a Kinks song could be. So whether or not “Around The Dial” was a cynical ploy to get airplay from the last few AOR DJs who still had control of what they played or one last song about people who loved music didn’t even matter: I just wanted to keep rocking around the dial.